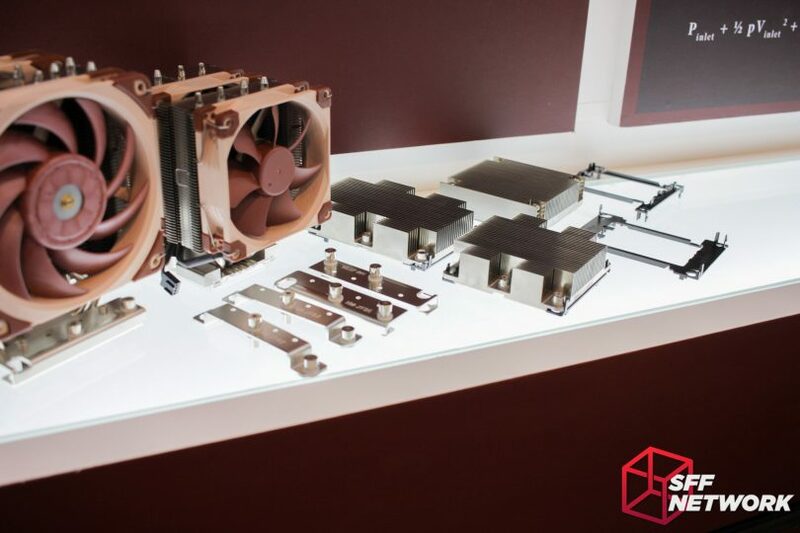 Noctua, purveyors of fine cooling wares, had their booth, resplendent in copper and cream, at Computex 2018. 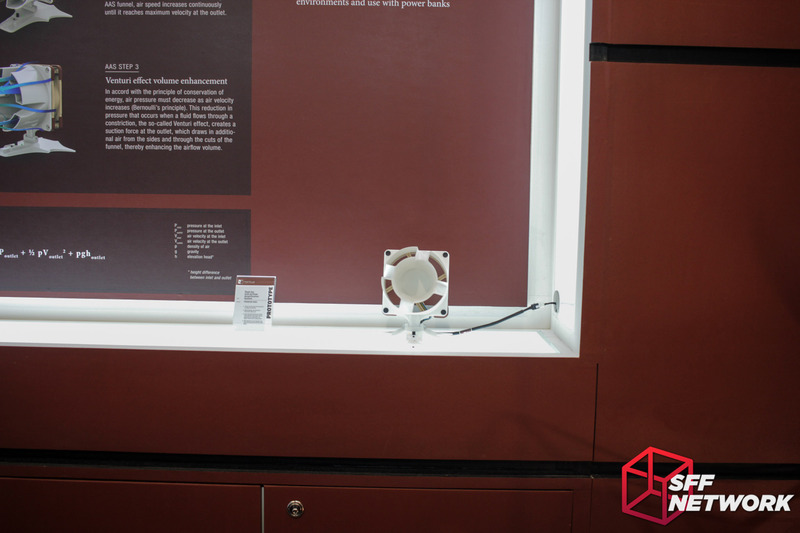 We popped in for a visit, and did not regret the time spent there, discussing cooling with Jakob, Noctua’s marketing whiz. 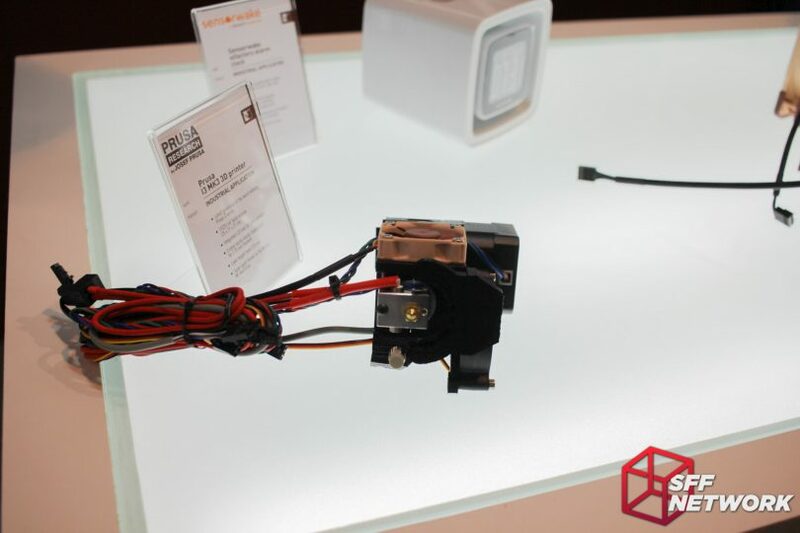 On show, the usual components, however, spiced up with some major changes, some of which stunned even us, seasoned industry veterans. Let’s see what was on display! Firstly, an oddity. 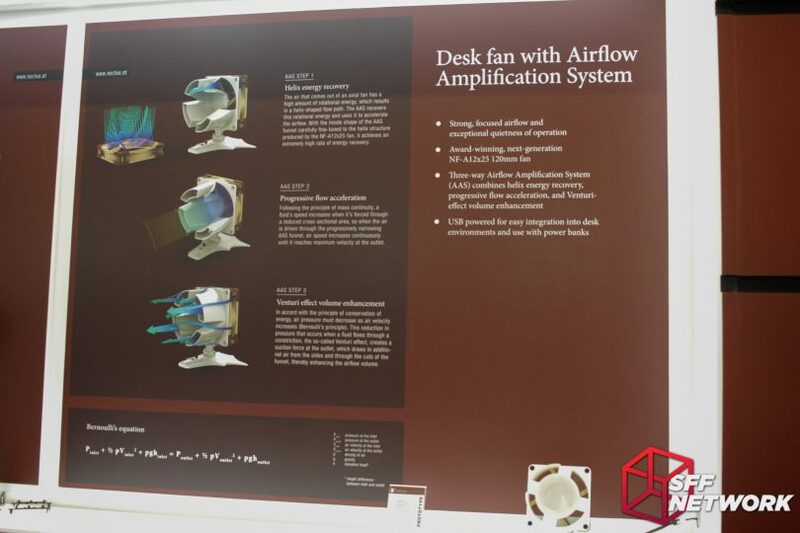 What started as a personal project of a Noctua engineer, has become a probable product – a desk fan based on a NF-A12x25 fan, but with the addition of an “Airflow Amplification System”. Fed up with the poor performance of regular desk fans, the engineer developed an add on to the Noctua fan to increase airflow and improve directionality. Standing more than 3 metres away, I could feel the airflow (a much appreciated relief in the harsh, humid, 35 degree Taipei day that we experienced). Using venturis and air channeling, airflow is much improved from the stock fan. 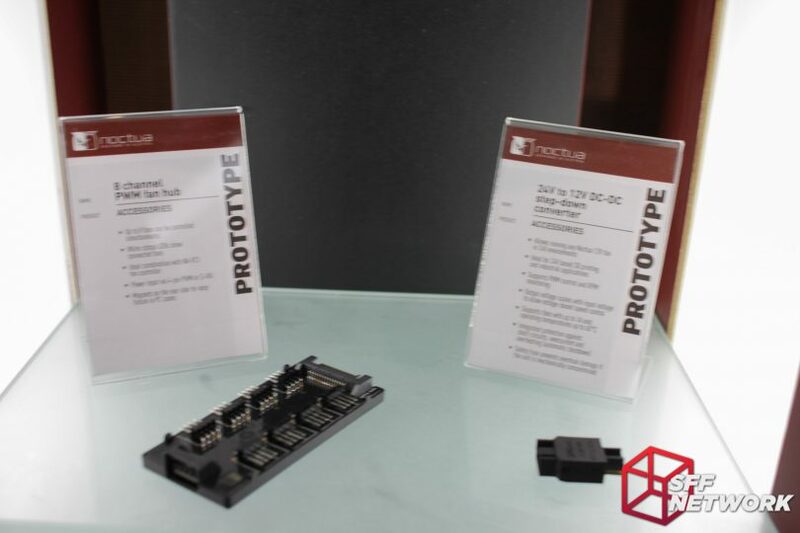 This product is still in early development. 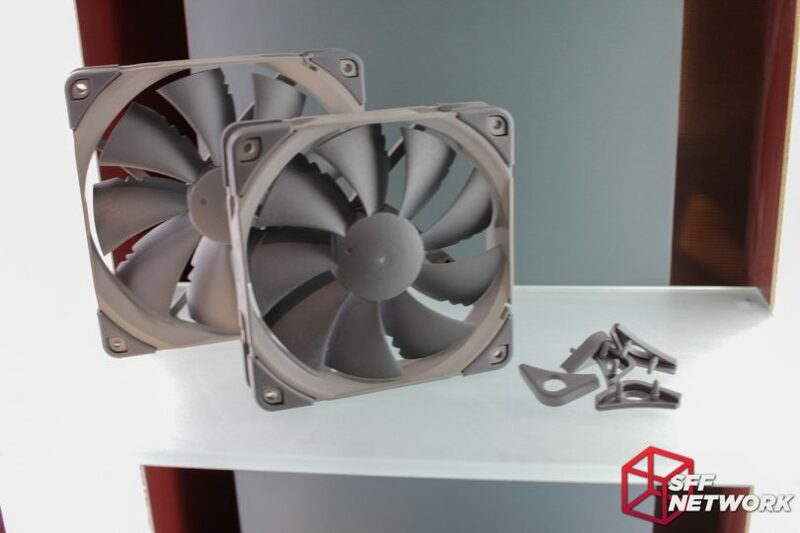 Noctua’s revered NH-L9x65 cooler is receiving some minor tweaks to the design, with a larger baseplate, leading to a claimed 2 degree performance improvement. 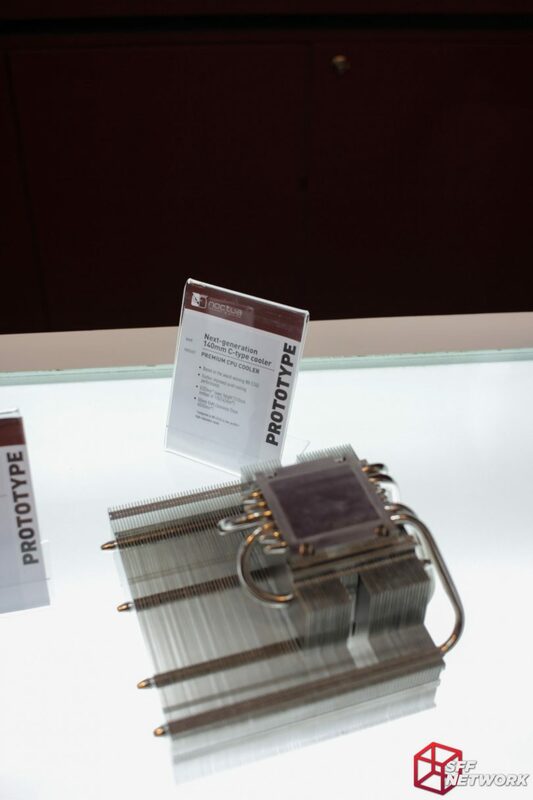 A shorter (than their current model) 140mm downdraft cooler is in the works as well! 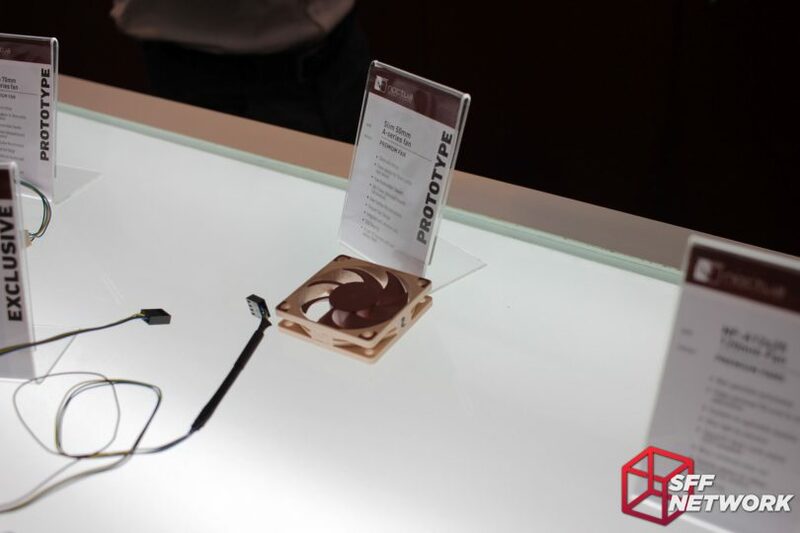 The prototype slim fans we saw last year? Well, no updates here. Sad panda. 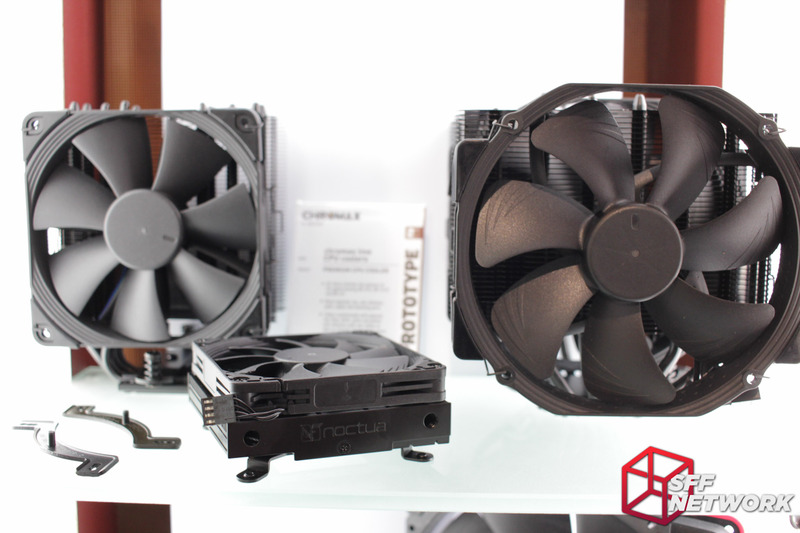 Noctua’s cost-reduced Redux line is in for an update, with a variant of the NH-U12 cooler joining the team. 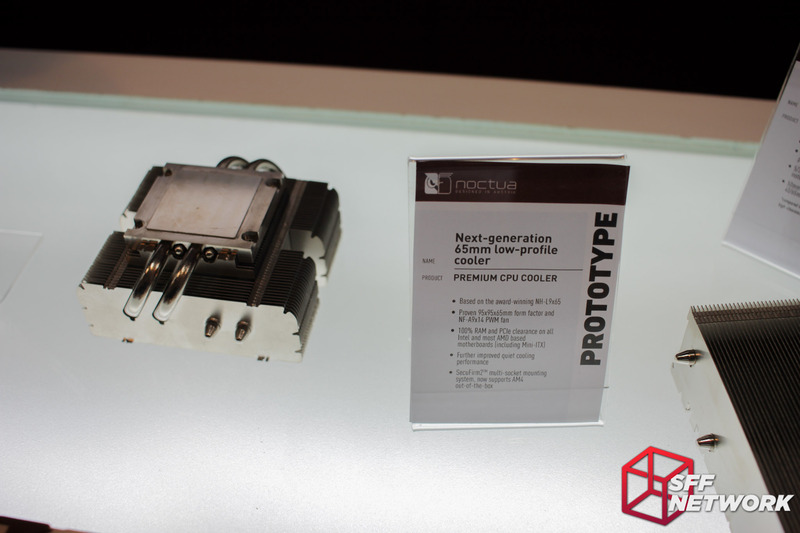 This new cooler uses less heatpipes and friction mounted fins, and is currently expected to retail for around US$40. More Redux fans are also in order. And another selection of the existing fans in the lineup! 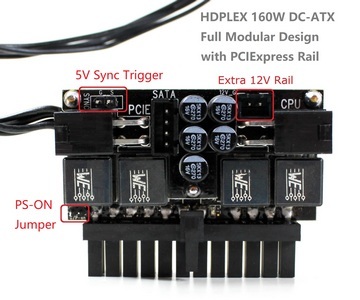 A couple of interesting product lines in the works – a simple 8-way fan hub with PWM, as well as a 24 to 12v adapter with PW and RPM passthrough – enabling the use of Noctua fans in 24v based industrial systems. Wow. We were not expecting this! 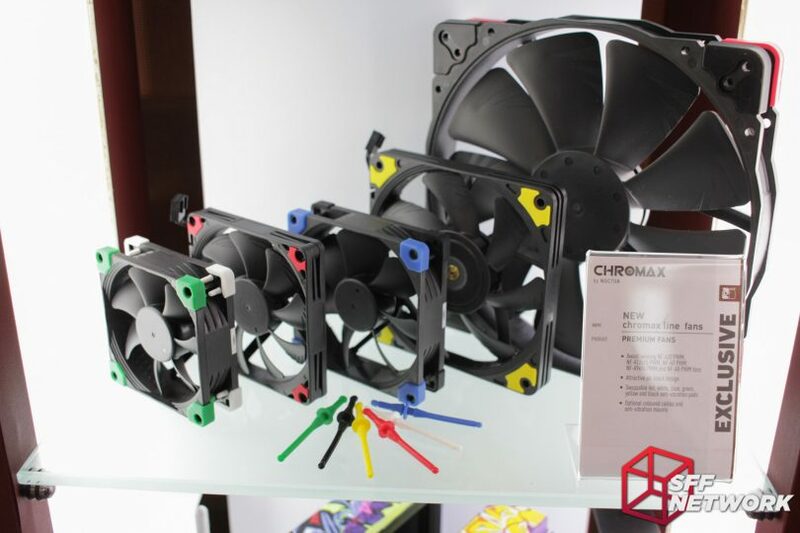 Powdercoated coolers for the Chromax line. All mounting hardware is also powdercoated in the same satin black. 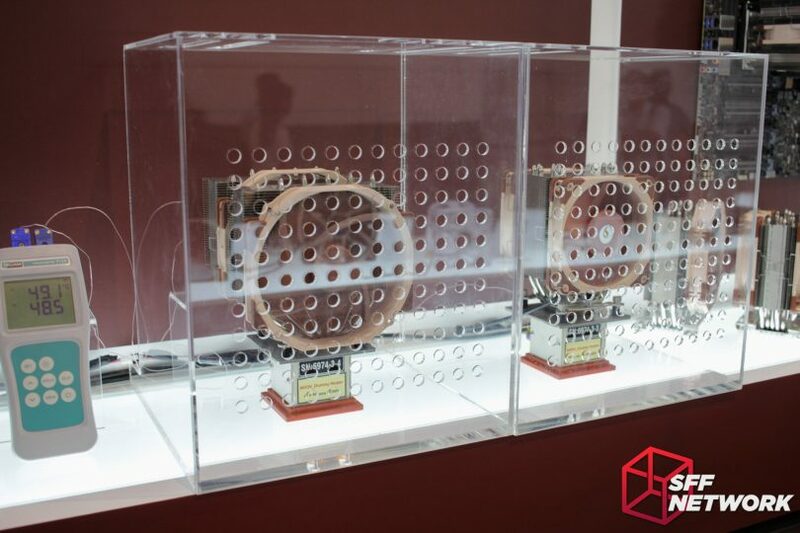 These three models, representative of Noctua’s three best selling coolers, are expected to hit retail in Q1 next year, or earlier, we hope. That NH-L9i is gorgeous. 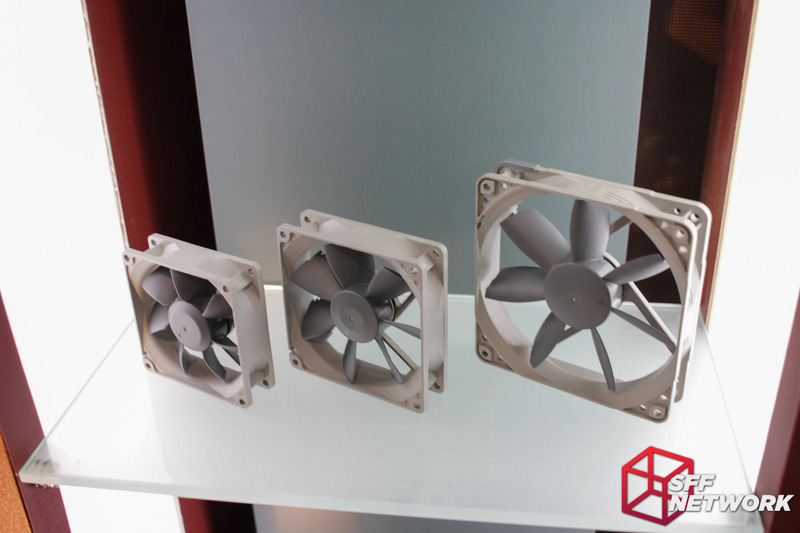 -The 92mm slim fan product split will still exist, with the fan bundled with coolers still running at a max of 2500 RPM, and the standalone version running at a maximum of 2200 RPM. To save the confusion w have encountered with this, the faster fan will have a “HS” or High Speed denotation in the model name. 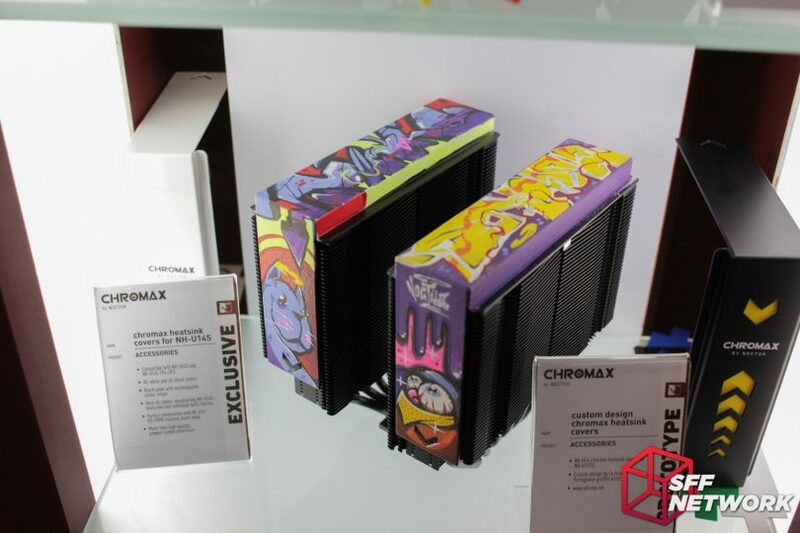 The Chromax line opens your system up to customisation, highlighted by this custom painted Chromax heatsink cover. 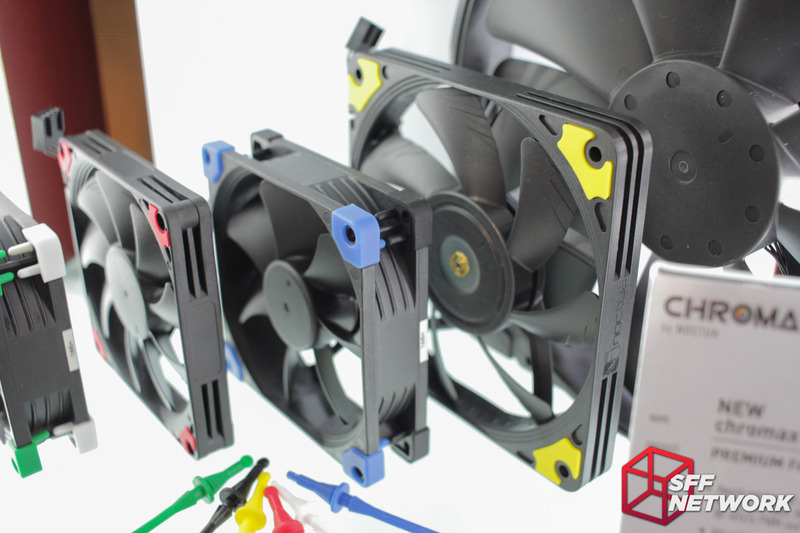 Work on an updated NH-U12 cooler is ongoing, with 140mm cooler-like performance. The single fin stack U12 on the right is performing as well as the dual tower NH-D15 on the left (!!!). 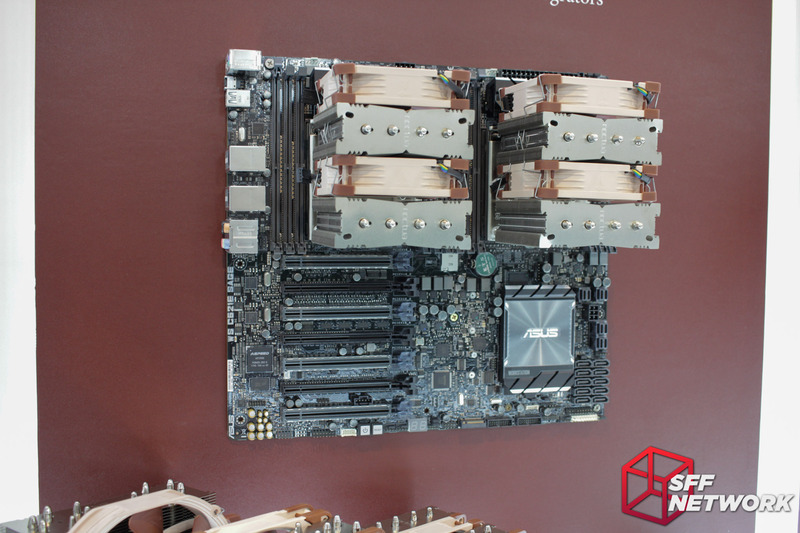 Server and workstation coolers on display for TR4 and LGA3647. I felt dirty taking a picture of a board this size. 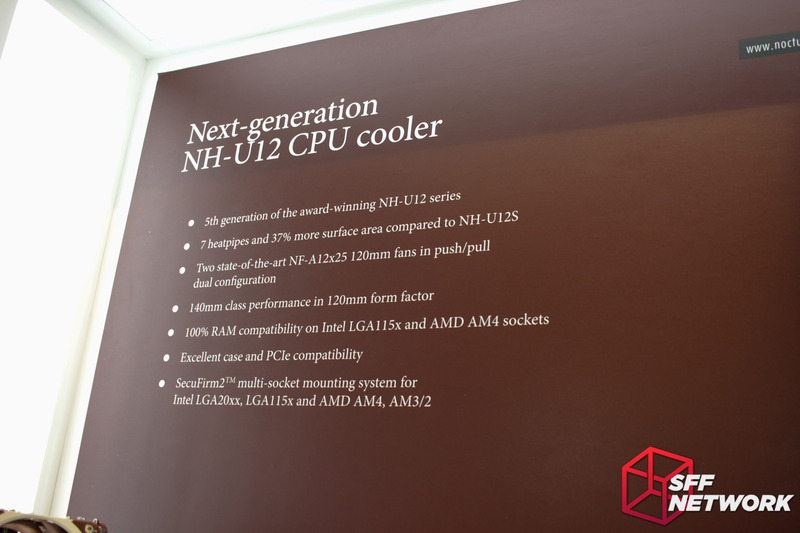 More details on the updated NH-U12. 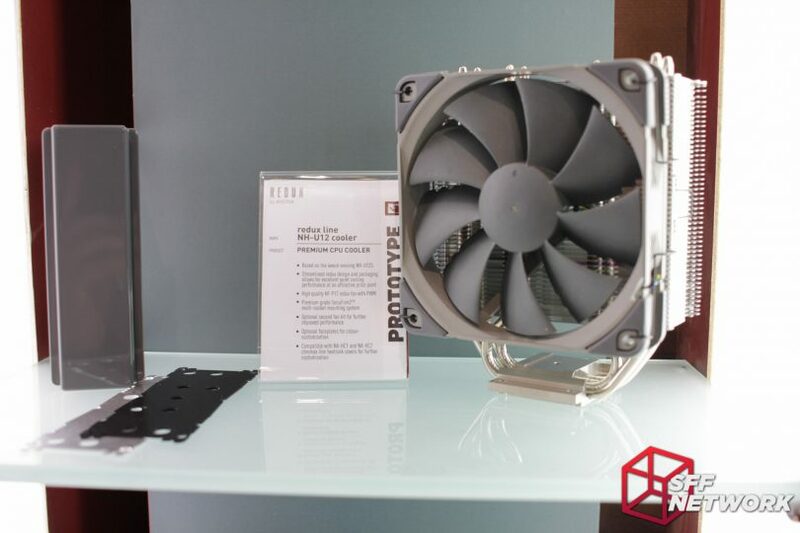 Some more unique uses for Noctua fans – 3D printer manufacturer Prusa now includes Noctua 40mm fans in their printers, after the end users installed so many themselves to replace the noisier original unit! 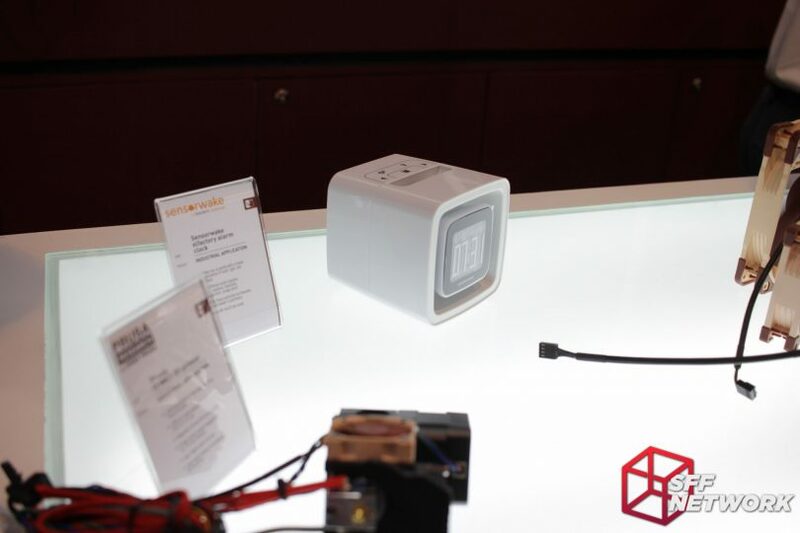 Another use for the Noctua 40mm fan line is this alarm clock that wakes you with aromas, not sound. Because of this, the quiet Noctua fan fits well.